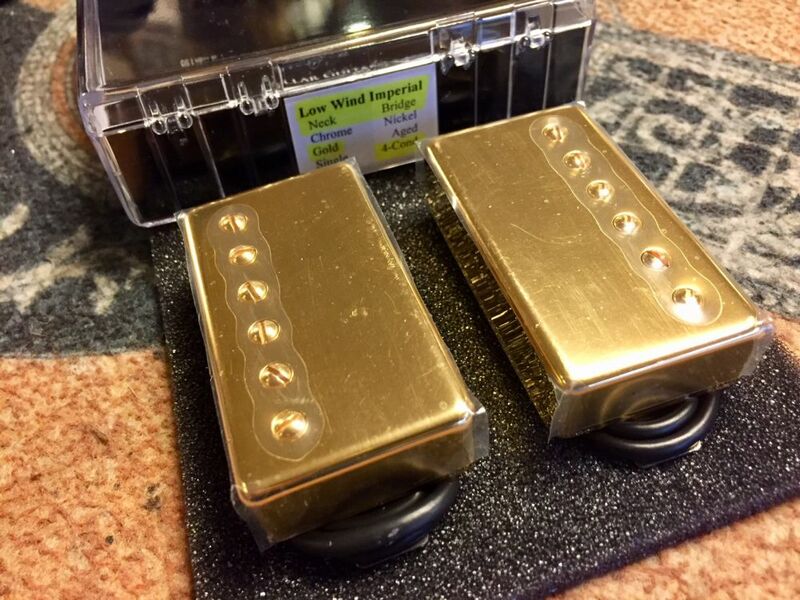 Based on lower output PAF's often found in vintage 335's, this pickup set has a brighter overall tone than the Lollar Imperials. Bottom strings hold together without distorting noticeably longer than most humbuckers. Combine this with an overall "toppier" tone (as compared to the Imperials) and the result gives exceptional definition for any chord voicingand great presence for coming through a mix. Alnico 2 magnets in the neck & alnico 5 magnets in the bridge are de-gaussed to specific levels, unique to the neck and bridge positions. Gold pickup cover. 4 conductor wirong.